Election Tracker LIVE: Union health minister JP Nadda has released another list of BJP candidates. 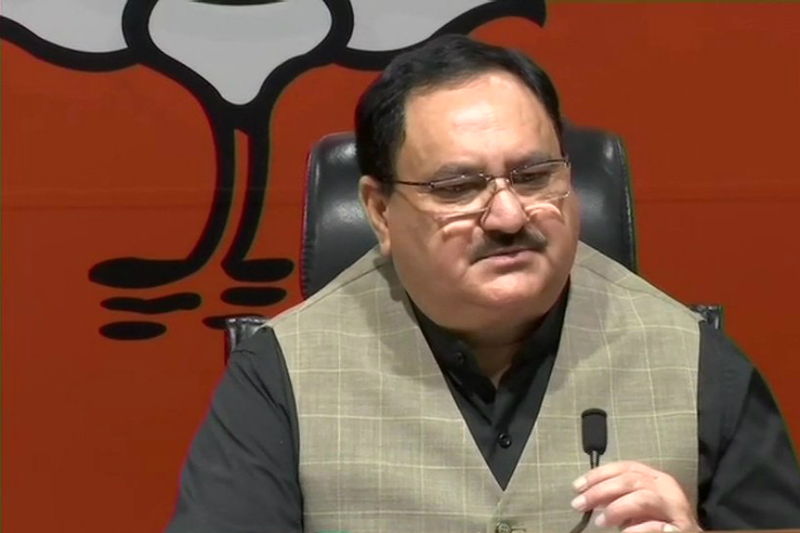 Addressing a press conference, Nadda said that senior leader Uma Bharti has told the CEC that she is "not interested" in contesting elections this time. The party has decided to give her charge of BJP's vice president. Meanwhile, popular stage performer from Haryana, Sapna Chaudhary, joined Congress. However, as speculated earlier, she will not fight polls against Hema Malini in Mathura, which has dominant Jat presence. The grand old party, late at night, announced to field Mahesh Pathak from the west UP city. With the announcement of 48 contenders from Goa, MP, Jharkhand, Gujarat, Himachal Pradesh, and Karnataka, the party has so far fielded 286 leaders for Lok Sabha polls. AICC releases a list of 38 candidates for Karnataka, Madhya Pradesh, Manipur, Uttarakhand and Uttar Pradesh Lok Sabha elections. BJP Replaces ex-CM Shanta Kumar in Himachal List | The BJP dropped two of its four MPs, including former chief minister Shanta Kumar, from its list of candidates for all the four Lok Sabha seats in Himachal Pradesh. The party renominated Anurag Thakur, the son of former chief minister Prem Kumar Dhumal, from Hamirpur and Ram Swaroop Sharma from Mandi. The saffron party also replaced its Shimla candidate, Virender Kashyap, with Pachhad MLA Suresh Kashyap. Shanta Kumar, 84, had told reporters in New Delhi on Thursday that he was unwilling to contest the parliamentary election. With this, the former chief minister has apparently retired from electoral politics. Those who have been renominated to contest Lok Sabha polls in Madhya Pradesh are BJP state unit chief Rakesh Singh from Jabalpur, Union minister Virendra Kumar from Tikarmgarh, former Union minister Faggan Singh Kulaste from Mandla, former state BJP president Nandkumar Singh Chouhan from Khandwa, former Union minister Prahlad Patel from Damoh, Ganesh Singh from Satna, Janardan Mishra from Rewa, Riti Pathak from Sidhi, Uday Pratap Singh from Hoshangabad and Sudhir Gupta from Mandsaur. MP BJP Announces 15 LS Candidates, Drops 5 Parliamentarians | The BJP declared candidates for 15 out of 29 Lok Sabha seats in Madhya Pradesh, dropping five sitting MPs, including Anoop Mishra, nephew of former Prime Minister Atal Bihari Vajpayee. Mishra, MP from Morena, had lost the 2018 Assembly polls from Bhitarwar seat. He has been replaced by Union minister Narendra Singh Tomar, currently representing Gwalior Lok Sabha seat. The BJP has fielded Himadri Singh, a former Congress leader who recently joined the BJP and daughter of former Congress MP and ex-Union Minister Dalbir Singh, from Shahdol (ST) seat. From Bhind (SC), the BJP has fielded Sandhya Rai replacing sitting MP, Bhagirath Prasad, a former IAS officer. From Ujjain (SC), Anil Firojiya has been given a ticket in place of sitting MP Chintaman Malviya. Union Ministers Renominated; 3-time CM Replaces 8-term MP as BJP Nominee | The party, which is contesting 13 of the 14 Lok Sabha seats from Jharkhand, has announced 10 candidates and kept names on hold for Ranchi, Koderma and Chatra constituencies, a senior party leader said. Renominating Union ministers Jayant Sinha and Sudarshan Bhagat as Lok Sabha candidates, the BJP replaced eight-time MP Kariya Munda with former chief minister Arjun Munda from the Khunti (ST) seat. Arjun Munda, who was chief minister thrice, had won the 2009 Lok Sabha elections from Jamshedpur and hails from neighbouring Saraikela-Kharsawan district. Union Minister of state for Civil Aviation Jayant Sinha and Union Minister of State for Tribal Affairs Sudarshan Bhagat have been re-nominated from Hazaribagh and Lohardaga (ST) constituencies respectively. On the news of Congress chief Rahul Gandhi contesting from Kerala, Chief Minister Pinarayi Vijayan said, "Rahul Gandhi is not coming to Kerala to take on the BJP...he will be fighting the elections against CPI(M)...Congress should have a look and consider the national politics, what message are they sending to the country?" Congress leaders from down South have been persistently inviting Rahul Gandhi. While Dinesh Gundu Rao asked Gandhi to contest from Karnataka, the Kerala Congress has been trying to convince him to fight from Wayanad. AICC released candidates list for the upcoming Assembly elections in Arunachal Pradesh and Sikkim, which would be held along with the Lok Sabha polls. Ram Prasad Sarmah, who has been with the BJP for almost three decades, had accused "new intruders" in the party of neglecting long-time workers. Dancer and actor Sapna Chaudhary today joined the Congress party. She is likely to contest from Mathura constituency against Hema Malini who will contest on BJP ticket. BJP declares the sixth list of 48 candidates for the upcoming elections. Jayant Sinha will contest from Hazaribagh, Arjun Munda from Khunti, Vidhyut Varan Mahatao from Jamshedpur and Pashupati Nath Singh from Dhanbad. The party has also declared six names for the assembly elections in Goa and Gujarat. BJP announces candidates for Goa, Madhya Pradesh, Jharkhand, Gujarat, Himachal Pradesh, Karnataka. A total of 284 names have been announced by BJP. JP Nadda says BJP will declare names for 46 seats. "Anurag Thakur to contest from Hamirpur, Suresh Kashyap from Shimla, Kishan Kapoor from Kangra, Nishikant Duney from Godda,” Nadda added. 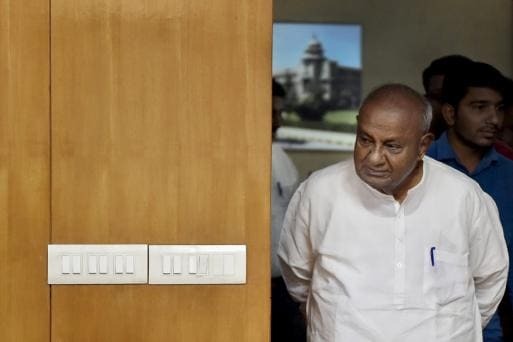 Last week, Gowda had said that he is yet to decide if he would be fighting the elections and had been thinking about his 'usefulness' in the national capital. Union minister Smriti Irani takes on Rahul Gandhi over the news of him contesting from Kerala. Mehbooba Mufti says, "We will not be placing any of our candidates in Jammu and Udhampur...We don't want the votes in these seats to be divided..we want the secular parties to consolidate in these regions." BJP will launch its campaign for Lok Sabha elections through "Vijay Sankalp Sabha", to be organised on March 24 and 26 across the country. BJP president Amit Shah and other senior leaders of the party will address "Vijay Sankalp Sabha" in different Lok Sabha constituencies of the country. Shah will address "Vijay Sankalp Sabha" in Agra on March 24 and in Moradabad on March 26, Home Minister and senior BJP leader Rajnath Singh will address the campaign in Lucknow on March 24 and Delhi on March 26. 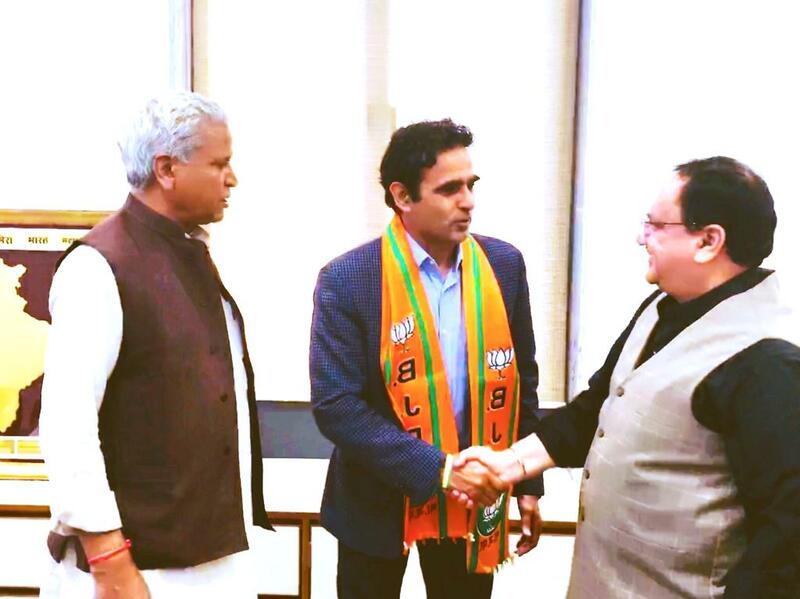 Major Surendra Poonia joins BJP in the presence of senior BJP leaders JP Nadda and Ramlal. Shashi Tharoor on AICC general secretary Oommen Chandy’s request to Rahul Gandhi to contest from Kerala: It will be great if Rahul Gandhi contests from Kerala... It will be good to see a PM candidate contest and win seats in both North and South...I want to ask PM Modi if he will ever contest from South, if yes I welcome him to contest against me from Trivandrum...I am sure that we will give a run for his money. Maharashtra Congress Chief Ashok Chavan: Congress to contest on 24 seats, NCP on 20 seats, Bahujan Vikas Aghadi on 1 seat, Swabhimani Shetkari Sanghatana on 2 seats, Yuva Swabhimani Paksha on 1 seat. Trouble for Karnataka's coalition politics after sitting MP SP Muddahanumegowda says he will file his nomination as Congress candidate for Tumkuru that has been given to JD(S) as part of seat-sharing deal. While JD(S) supremo HD Deve Gowda is likely to file his nomination from Tumkuru on Monday. Union Minister and Rajya Sabha MP Ravi Shankar Prasad asked Congress president Rahul Gandhi to explain how his wealth rose from Rs 55 lakh to Rs 9 crore in five years. Prasad said that Gandhi does not have any known source of income other than the salary of a Member of Parliament. Attacking Bengal CM months after participating in her 'Opposition Rally', Congress president Rahul Gandhi slammed Mamata Banerjee for "only giving long speeches" and "doing nothing for the state". The remark came despite Mallikarjun Kharge's attendance at the Kolkata rally in January, where the Congress leader read out letters by Gandhi and UPA chairperson Sonia Gandhi "supporting" Banerjee for her "show of unity and hope". Meanwhile, the BJP has announced third list of 11 candidates for the upcoming Lok Sabha elections, starting April 11. Tainted mining baron Janardhan Reddy has been fielded from Chelvella seat in Telangana. 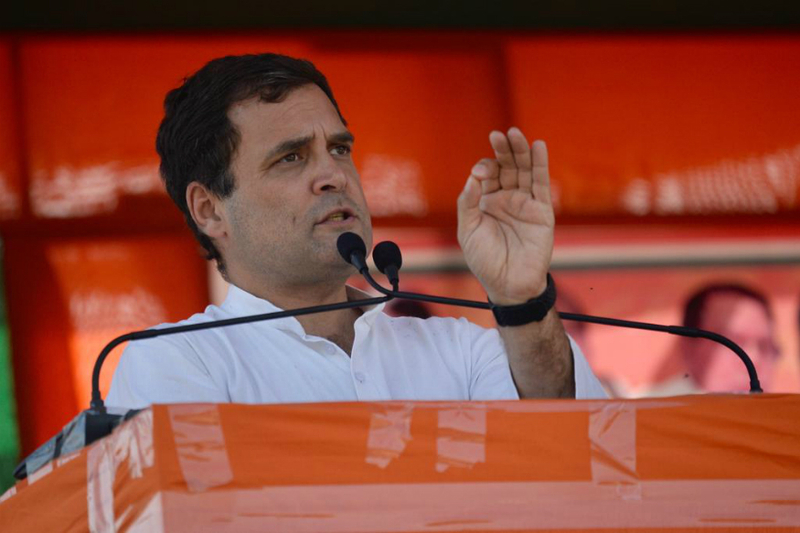 Congress chief Rahul Gandhi today attacked Narendra Modi’s ‘Main bhi chowkidar’ campaign, saying the Prime Minister only guarded the rich and not the poor. Speaking at a rally in Bihar’s Purnea, Gandhi said he was neither scared of Modi, nor the BJP and RSS and only believed in the truth. Later in the day, Gandhi will kick-off his first rally in Bengal at Kolam Bagan Ground in Malda. Earlier, BJP chief Amit Shah hit out at the Congress over Sam Pitroda’s remarks regarding the Pulwama attacks, saying the grand old party should answer if it believes that Pakistan has no role in the terror attacks being planned in India. “I demand answers from Rahul Gandhi. Do you think it (surgical strikes) was a routine thing? 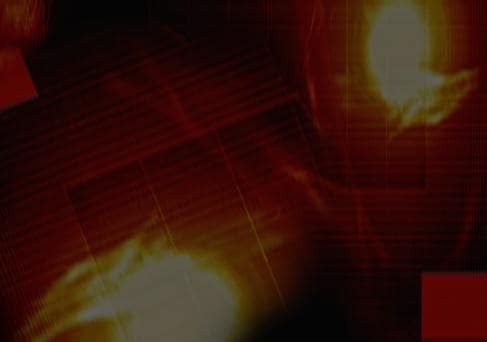 Losing soldiers was routine? Is the Congress of the belief that any attack on India and its forces not without the blessings of the Pakistan army,” he asked. Meanwhile, the NDA released its second list of candidates for all the 40 Lok Sabha seats in Bihar today at the state BJP office. The BJP has dropped rebel party leader Shatrughan Sinha and replaced him with Ravi Shankar Prasad in Patna Sahib. Rajiv Pratap Rudy, Giriraj Singh and Radha Mohan Singh were among the other names included in the list. The Congress and the Nationalist Congress Party along with their allies will hold a press conference for the Mahagathbandhan in Maharashtra at 4 pm. The presser will be attended by party veterans Ashok Chavan, Sharad Pawar, Raju Shetti among others, where in all probability, they will announce their candidates and the alliance formula for the state with 48 Lok sabha seats.